This is what the history of financial markets suggests. Cycle is the destiny. Cycles are destined. However, one tries – and that includes large corporate houses, or banks or financial institutions, or regulators, or governments – one cannot change the destiny. At most, one can only delay the inevitable. It is also the same as understanding what you can control and what you cannot; and then focusing all your energies on controlling what is in your control. … Yet reality cannot be deferred forever. the misplacing is corrected, leaving investors and institutions with large losses. Central banks and governments intervene, to protect the financial sector and to minimise the damage done to the non-financial economy. that cash and liquidity then provide the fuel for the next crisis in some different area of activity. successive crises have tended to be of increasing severity. The above paragraphs have been taken from John Kay’s book “Other People’s Money – Masters of the Universe os Servants of the People”. Different market cycles appear different, but there is a lot of similarity in each. 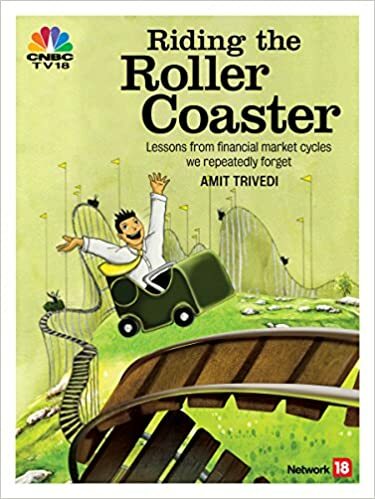 I have written about the anatomy of a market cycle in the book “Riding The Roller Coaster – Lessons from financial market cycles we repeatedly forget” that echoes the above words to a great extent. If you observe, the parallels are often staring you in the eye. However, very often, we choose to ignore the signals. So long as decision-making is involved with different people having different motives, their opinions, decisions and actions themselves are going to move the financial markets in either direction. Markets involving large number of players will be cyclical. As Lord Krishna says in Bhagvad Geeta, Chapter 2, Shloka 27: “Jaatasya hi dhruvomrutyurdhruvam janma mrutasya ch“, the one that is born is going to die and the one that has died is going to be born again. Nothing moves only in one direction forever. The cycle is the destiny. Reading Riding the Roller Coaster has been an enriching experience. Amit is a delightful story teller. He also invariably has a point which is put accross for us to evaluate in an unbiased manner. This book is thought provoking, and will help many layman investors see connections between history, philosophy and emotions before making investment decisions. The uniqueness of this book is the simplicity, reference to the holy Bhagvad Geeta & numerous examples which makes you think and re think of investments from a completely new lens. My favourite is the “Seeds of the crash are planted in the times of the boom & vice versa”. The cycle is the destiny. Amit – It’s a great achievement. Wishing you all the success in future endevaours!! From www.pets.com to Dogecoin – do things really change?